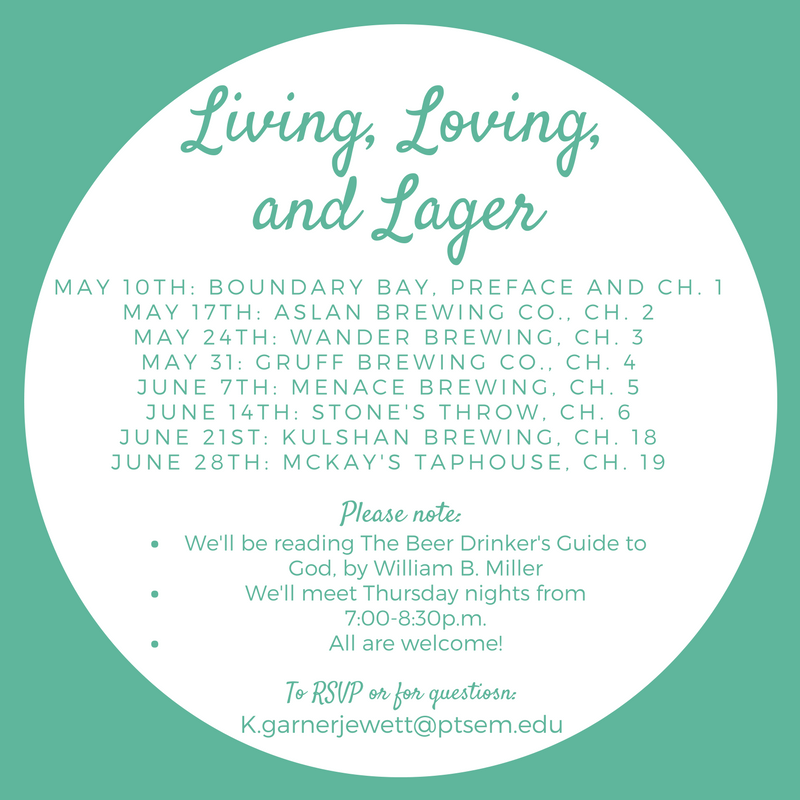 Living, Loving & Lager – Begins 5/10! Join the Living, Loving & Lager group on Facebook for updates and further information! 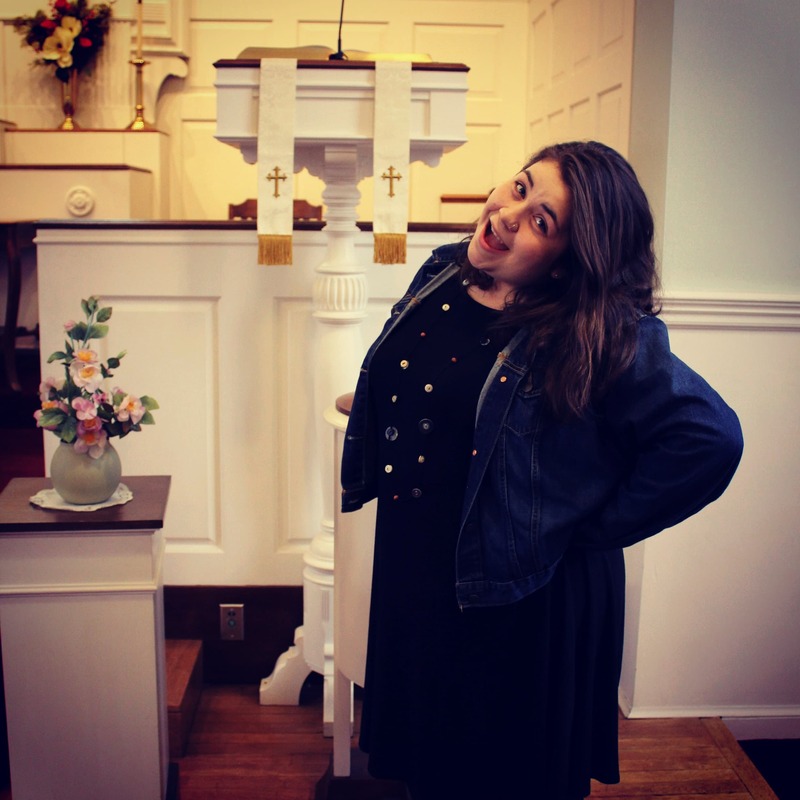 Katie is joining us this summer to work with our church and grow her gifts for ministry. She is already under care at our church moving towards ordination, and we are excited to see what God has been up to in her life, and how the Spirit is guiding her now! She’ll be here May-June, back in NJ for summer class and with us again late August. She’ll be leading a book discussion from The Beer Drinker’s Guide to God by William B. Miller. Pick up a schedule in the lobby or at Café Pres! I am a proud Pacific Northwest mutt, originally from Lake Oswego, Oregon, but I call Bellingham, Washington home after living there for 5 years before moving across the country to attend Princeton Theological Seminary. I graduated from Western Washington University in 2015 with a degree in Human Services. Following graduation I spent a year at the INN University Ministries as the Service-Learning Intern, and got to pursue my passion of prayer and community service. I am currently in my middler (2nd) year of seminary and I am liking Jersey more and more! When I’m in Bellingham you can find me at Old Town Cafe, and in the afternoon you might run into me on the trail somewhere in the Chuckanuts. I am passionate about good coffee, running, speaking Spanish, social justice, and the great outdoors.